The gas powered generator has become an essential part of modern homes and offices, and is in fact, especially useful because of the increasing number of power outages that are affecting everybody these days. Whether the outage is brief or long does not matter because without a backup generator you will have to endure unnecessary disruptions to your work and other activities. 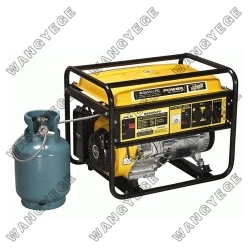 A good backup generator on the other hand can help you to run your heater and television as well as computer and even your fridge as well as provide adequate lighting. You can shop for one that provides about ten thousand watts and which would cost roughly eleven hundred dollars or so. Honda is a well known name in the gas power generator segment and its models are simple and also very easy to use. These models do in fact also provide clean and green energy that ensure that you get uninterrupted access to power that will power up your home and business. When looking for the better models, you will do well to look for efficiency and low noise models and another good option is the one from Generac which will automatically power up your home or office. Such a model will cost about two thousand dollars and will switch on to backup power automatically and without need to push any buttons. The best generators are obviously those that address your needs in the most effective and cost efficient manner. Briggs and Stratton is another name that is worth mentioning in this regard. If all you need is having power to keep you lights, fans and television working, and then a smaller low end model that costs between three and four hundred dollars will be sufficient. On the other hand, if you need more power to run heavier items of equipment you will do well to look for models that have more wattage and which will cost upwards of two thousand dollars. Gas is however an efficient fuel and it is also cheaper and more energy efficient and so is well worth using.